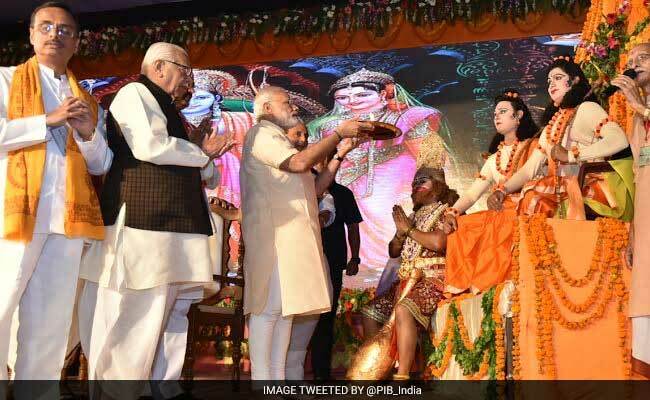 While the BJP is focusing more on Lord Ram, the Samajwadi Party is centering its activity around Lord Vishnu. The Congress too is focusing its activity around Lord Shiva. All parties are increasing such campaigns as the general election nears. Ahead of the 2019 Lok Sabha elections, key political parties in Uttar Pradesh seem to have chosen their favourite gods. Congress president Rahul Gandhi, fresh from return after the Kailash-Mansarovar Yatra, was greeted in his Lok Sabha constituency Amethi this week by hundreds of devotees of Lord Shiva, all dressed up as "Kanwariyas". The BJP's UP chief Mahendra Nath Pandey reiterated his party's backing for a Ram temple on the disputed site in Ayodhya. He said the party is trying to ensure that the temple is built in Ayodhya through consensus. Meanwhile, Samajwadi Party president Akhilesh Yadav has pledged to develop a grand city in Uttar Pradesh named after Lord Vishnu, complete with a spectacular temple in it. He is aiming to build the temple city on lines of Cambodia's Angkor Wat, should his party be voted to power. Uttar Pradesh sends 80 MPs to the Lok Sabha. In the 2014 parliamentary elections, the BJP won 71 seats, its ally Apna Dal got two, while the Samajwadi Party bagged five and the Congress got the remaining two. Rahul Gandhi, on Monday, was presented a portrait of Lord Shiva by Shiva devotees at UP's Fursatganj. During the ceremony, Mr Gandhi was seen with his forehead smeared with sandalwood paste with a prominent red 'tilak' in the centre. He also wore a scarf around his neck as he sat for a 'puja' or prayers. Mr Gandhi was greeted with posters which had 'Shiv bhakt Rahul Gandhi' written on it. Mr Gandhi had announced his intention to undertake the Kailash-Mansarovar pilgrimage after a mid-air scare, when his plane had plunged hundreds of feet during one of his flights to Karnataka for the poll campaign in April. The pilgrimage was aimed at seeking the blessings of Lord Shiva for the country's prosperity, Congress chief spokesperson Randeep Surjewala had said earlier. In the run-up to the 2019 Lok Sabha elecitons, the entire effort is being seen by poll analysts as Congress' attempt to connect with Hindu voters. UP BJP chief Mahendra Nath Pandey, meanwhile said, "Ram temple is the centre of faith and devotion for us. It should be built as per the law and we are committed to this." "The BJP is making efforts to build the Ram temple through consensus," he had said earlier. "People know that Lord Ram was born in Ayodhya and they want a Ram temple there. The feeling of every Indian is the feeling of the BJP," Mr Pandey had said. Speaking about his party's plan to build a grand temple city dedicated to Lord Vishnu, Samajwadi Party chief Akhilesh Yadav said, "the city would be spread over 2,000 acres of land near Etawah." "We have a lot of land in Chambal ravines and the city will have a grand Vishnu temple akin to the famous Angkor Wat temple," which is the world's largest temple complex, Mr Yadav said. Mr Yadav's comments had come in the wake of BJP leader and UP Deputy Chief Minister Keshav Prasad Maurya raking up the Ram temple issue and suggesting a legislative route for it. Akhilesh Yadav, however, has promised that, if voted to power, he would develop a city after the name of Lord Vishnu, with both Lord Ram and Lord Krishna being his incarnations. A team of experts will be sent to Cambodia to plan the city, which will be a centre for culture and knowledge of our ancient times, the Samajwadi Party chief said. Angkor Wat in Cambodia is one of the largest religious monuments in the world which was originally a Hindu temple dedicated to the Lord Vishnu but gradually transformed into a Buddhist shrine.